N4GN Kentucky Contest Group - The kentucky contest group (kcg) is dedicated to the pursuit and promotion of amateur radio contesting, also known as radiosport. Tennessee Contest Group - The Tennessee Contest Group (a.k.a. TCG) is a group of amateur radio operators (hams) who enjoy operating in competitive radio sporting events or "contests." The Florida Contest Group - The florida contest group, is the first amateur (ham) radio contest club, organized in the state of florida. 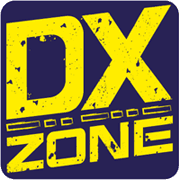 YO4PX Francisc Grunberg blog - Articles about Amateur Radio, own writings and translations: history, DXpeditions, contesting and DXing ethics, Codes of Conduct, Suggestions for Pile-ups, Suggestions for Contesters, the most wanted DXCC entities.